KA-CHOW!!! Lightning McQueen wins again! Disney Pixar's Lightning McQueen and Francesco are racing head to head in this Carrera 1. First 1/50 slot racing track. 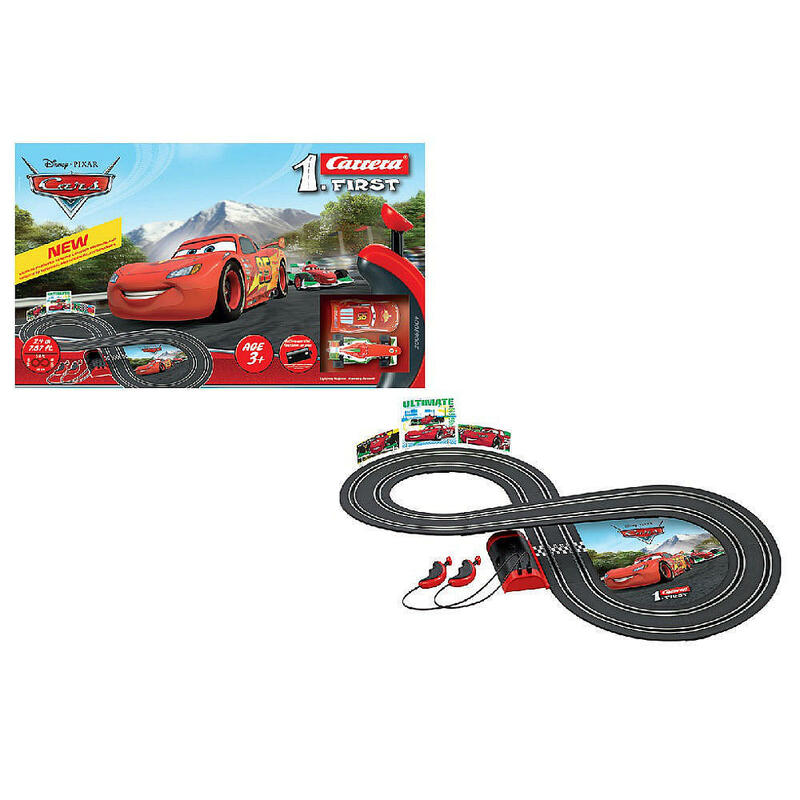 The new Carrera 1.FIRST track system is designed for the young racer with smaller hand controllers and Cars themed decorations to place around the track. The set comes with 7.87 feet of track, track supports, assembly instructions and a durable battery box for the 4x C batteries (not included) that give the track power. Extra sticky tires and magnets mounted inside the car give the stability to the cars as they race around the figure-8 style track layout. This set is designed for Ages 3 and up.